AVAILABILITY OF EMPLOYMENT is the most important factor for Irish emigrants when they are deciding whether to move back to Ireland. Members of over 80 GAA clubs worldwide were asked to detail their fears and concerns about returning home as part of a project carried out by Irish-based charity Crosscare. They were also asked what advice they might offer anyone thinking of emigrating from Ireland. 66% of respondents placed employment as the most important factor in deciding whether to move back home. The report found that challenges facing Irish emigrants abroad varied from region to region. Clubs in Australia and New Zealand were most likely to highlight concerns relating to health and mental health among the Irish living there. Visas and visa overstay were important issues mentioned by clubs in the USA and Canada, while social isolation and cultural differences felt by Irish emigrants were highlighted by clubs in Europe, Asia, and the Middle East. Only 13% of those surveyed mentioned concerns about immigration issues – such as difficulties obtaining a visa for a non-Irish spouse or partner. Some 8% of respondents cited concerns about accessing housing or rented accommodation back in Ireland – including cost, quality and availability of housing. 4% said that healthcare was an issue. Respondents were asked what they thought were the most important welfare-related challenges facing Irish people living abroad. Again, employment was found to be a major factor, with 29% describing it as a challenge when emigrating. A quarter (25%) of those surveyed mentioned the cost of living abroad as a welfare challenge. Meanwhile, 24% cited health as an important challenge. Their main concerns were lack of information on healthcare access, exclusion of entitlement to free care, cost and quality of care. Housing was mentioned to by 21% of those surveyed, with the main concerns being cost and availability. The survey also asked what advice the Irish diaspora would give to future Irish emigrants, with the largest number of respondents (39%) saying support networks were the most important consideration for those preparing to move abroad. They also recommended joining support organisations like GAA clubs and Irish centres. In regards to employment, respondents recommended having savings and enough financial security to get by while securing employment. 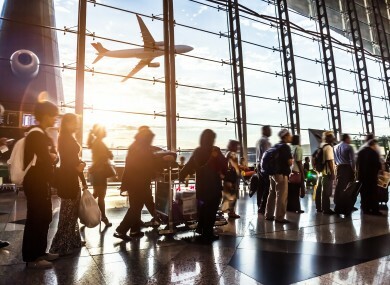 Interviews with prospective employers should be set up prior to departure, they said – adding that it was important to have contacts with people already living in the destination country. Additionally, 24% stressed the importance of securing accommodation before departing Ireland. 23% of respondents recommended researching the cost of living – recommending the checking of prices and exchanges rates. Crosscare Migrant Project is an Irish based non-government organisation that assists Irish emigrants before they leave the country and on their return home. It’s part of Crosscare, the social support agency of the Dublin Archdiocese of the Catholic Church. The survey was conducted from September to November 2015, and was sent to a total of 412 GAA clubs globally. The full report entitled ‘Irish emigrant perspectives on emigration’ is available here. Email “Irish abroad: What are returning emigrants' greatest concerns?”. Feedback on “Irish abroad: What are returning emigrants' greatest concerns?”.